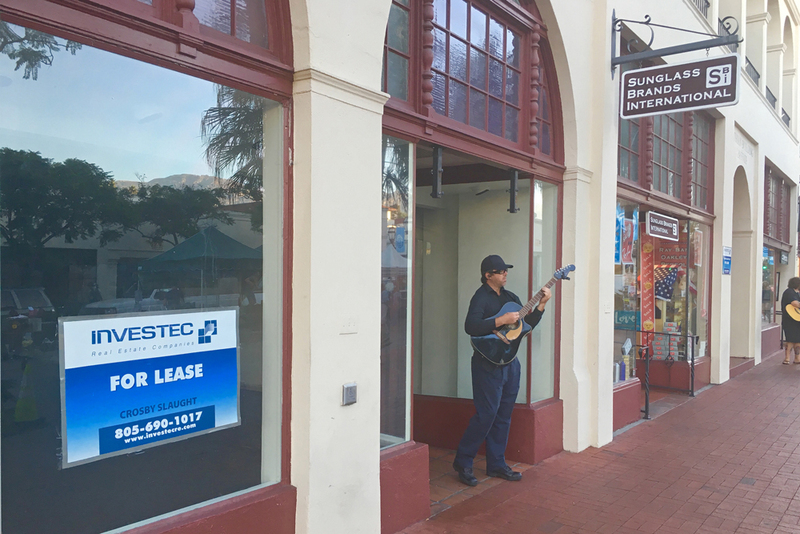 Although the rate of State Street vacancies is the same today as a year ago, members of the Santa Barbara City Council on Tuesday lent their support to the year-old Accelerate permit program, saying that it is just one part of the solution to downtown's retail woes. The goal of the Accelerate program is to expedite the city’s design review and permit plan check processes without compromising the quality of the final design, and to help property and business owners improve and occupy commercial tenant spaces more quickly. The vacancy rate on State Street today, between Cabrillo Boulevard and Sola Street, for first-floor retail storefronts, is 11 percent, the same rate as August 2017, when the program started, according to the city. In addition to that area, the Accelerate program applies to Coast Village Road commercial properties. Santa Barbara City Council members on Tuesday voted unanimously to extend the Accelerate program indefinitely. As the downtown area has struggled with vacant retail spaces, some property owners and business owners have pointed the finger at the city for its extensive permitting process. Among the members of the public who criticized the city at Tuesday's meeting was Jim Knell, who owns about 450,000 square feet of commercial property on State Street. He said Santa Barbara needs to be more flexible with the requirements when new businesses try to open up shop in older buildings. “These buildings are 100 years old and in some cases they can’t comply with some of the issues that they are made to comply with,” Knell said. He said that the planning department needs to be more creative. Knell also said that planners too often are looking for problems with buildings to find violations. Property owner Richard Berti accused the city of not being business-friendly. In August, a group of business and property owners gave the city a list of recommendations regarding improvements to its permit process, and in response, the City Council decided to hire a consultant to dive deeper into the issues. At Tuesday's meeting, Councilman Gregg Hart told Knell and Berti that the issue of retail vacancies is no one person's fault, and that all stakeholders need to be part of the solution. The Accelerate program has helped, but “is not by itself a panacea,” he said. Hart also said property owners cannot neglect their buildings. “You can’t expect a tenant to come in and make 100 years of deferred maintenance and tenant improvements,” he said.